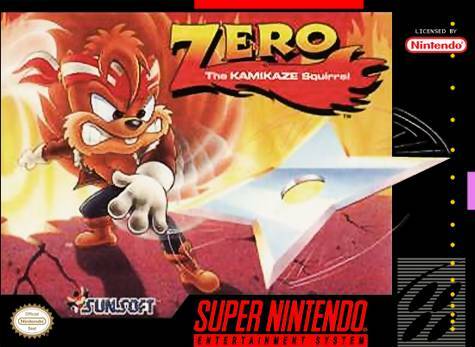 Zero the Kamikaze Squirrel for Super Nintendo allows you to play as Zero: The Kamikaze Squirrel, and keep Jacque from destroying the forest. Explore 15 levels where Zero will have to swoop, spin, and dive to survive. He will also have to master a variety of ninja techniques to destroy the many enemies that inhabit each level. For faster action, jump into a speedboat, jet pack, and jet ski.